The Secret Life of Machines is an educational television series presented by Tim Hunkin and Rex Garrod, in which the two explain the inner workings and history of common household and office machinery. According to Hunkin, the show's creator, the programme was developed from his comic strip The Rudiments of Wisdom, which he researched and drew for the Observer newspaper over a period of 14 years. Three separate groupings of the broadcast were produced and originally shown between 1988 and 1993 on Channel 4 in the United Kingdom, with the production subsequently airing on The Learning Channel and the Discovery Channel. Robot Wars is a robot combat competition that was broadcast on British television from 1998 to 2004 and again from 2016 to 2018. The series, centred on the sport of robot combat, involves teams of amateur and professional roboteers operating their own constructed remote controlled robots to fight against each other, whilst also avoiding arena hazards and more powerful "House Robots", which were not bound by the same weight or weapon limits as the contestants. Earlier series included assault and trial courses for competing robots before they were ceased from the first "Extreme" series onwards. Garrod was Team Leader of Team Cassius, a team of roboteers which entered several robots into Series 1, 2 and 3 of Robot Wars . Roadblock was a combat robot that competed on the British television series Robot Wars. Constructed in 1997 by A-level students from Bodmin Community College, the robot was initially called "Road Rage" but was renamed in response to a request from the programme's producers. Both names were derived from the robot's distinctive construction from metal roadsigns. Roadblock was champion of the first series of Robot Wars and finished in third place for the second series. Although Roadblock was armed with a circular saw weapon, its success was primarily due to its wedge-shaped body—Roadblock could drive underneath opponent robots and invert them, rendering many immobile. Panic Attack was a robot that competed in the British television show Robot Wars. In Series 2, it was just a box, with a set of electrically powered lifting forks, powered by a homemade system. It was emblazoned with the image of a spider. The spider was the result of a school competition to come up with a design of something that made you panic. A 12-year-old girl designed the spider. With his prize money from Series 2, Kim built a newer machine. This one had a srimech, a new body shape, and more effective forks, which were capable of completely overturning opposing machines. The top-mounted self-righting mechanism proved to be unreliable, and was eventually removed. Added in Series 4 were a set of side "skirts" to prevent all but the lowest of robots from getting underneath it, as well as sloping sides. The fourth model had improved skirts, and the srimech was updated to a top flipper, which was the favourite with the driver Kim Davies, who stated it was, in his opinion, the best version. 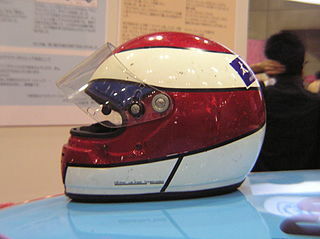 Speed Racer, also known as Mach GoGoGo, is a Japanese media franchise about automobile racing. Mach GoGoGo was originally serialized in print in Shueisha's 1966 Shōnen Book. It was released in tankōbon book form by Sun Wide Comics, and later re-released in Japan by Fusosha. 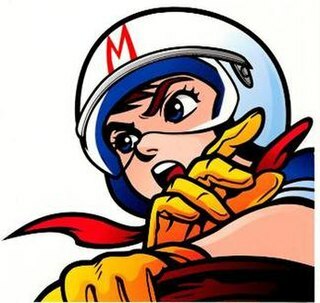 Adapted into anime by Tatsunoko Productions, its 52 episodes aired on Fuji TV from April 1967 to March 1968. The anime was later re-broadcast on Tokyo MX from July 1 to September 25, 2008. Dorothy Annie Elizabeth Garrod, CBE, FBA was an English archaeologist who specialised in the Palaeolithic period. She held the position of Disney Professor of Archaeology at the University of Cambridge from 1938 to 1952, and was the first woman to hold an Oxbridge chair. Future GPX Cyber Formula is a 37-episode anime television series by Sunrise. It originally aired in Japan between March 15, 1991 and December 20, 1991. The TV series was later followed by four OVA series respectively titled: Double One, Zero, Saga, and Sin. Hypno-Disc was a contestant entry in the Robot Wars TV series, and was one of the first robots to use the kinetic flywheel weapon — a highly damaging weapon that succeeded in heavily damaging and destroying great many robots. Hypno-Disc's design, however, was somewhat basic, and its high ground clearance made it an easy target for robots armed with flipping weapons, such as Chaos 2. 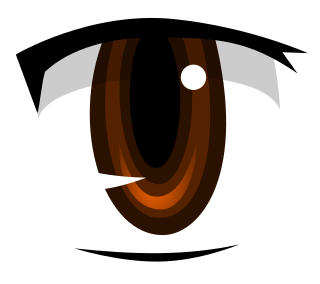 Hypno-Disc was the creation of the Rose family — twin brothers Derek and David, and their father Ken. It was the first competitor robot recreated in toy form when the Robot Wars pullback toys were released. Tornado was a competitor on the UK TV series Robot Wars, noteworthy as the champion of the sixth series. Stanley is an autonomous car created by Stanford University's Stanford Racing Team in cooperation with the Volkswagen Electronics Research Laboratory (ERL). It won the 2005 DARPA Grand Challenge, earning the Stanford Racing Team the 2 million dollar prize. Metal Gear is the name for a series of mecha in the Metal Gear series. In the series, a Metal Gear is defined as a bipedal nuclear weapons-equipped tank. The Metal Gears are typically autonomous nuclear launch platforms which the player must destroy to save the world and complete the game. Often, confronting the latest Metal Gear model is one of the final challenges of each game. The Lost Planet is a 1953 Columbia Pictures 15-chapter serial which has the distinction of being the last interplanetary-themed sound serial ever made. It was directed by Spencer Gordon Bennet with a screenplay by George H. Plympton and Arthur Hoerl. It appears to have been planned as a sequel to the earlier chapterplay Captain Video: Master of the Stratosphere and shares many plot-points, props and sets, as well as some of the same cast. However, the Video Rangers do not appear, and their uniforms are instead worn by "slaves" created electronically by Reckov, the dictator of the Lost Planet with the help of mad scientist Dr. Grood and enslaved "good" scientist Professor Dorn. A machine shop is a room, building, or company where machining is done, which is a form of subtractive manufacturing. In a machine shop, machinists use machine tools and cutting tools to make parts, usually of metal or plastic. A machine shop can be a small business or a portion of a factory, whether a toolroom or a production area for manufacturing. The parts produced can be the end product of the factory, to be sold to customers in the machine industry, the car industry, the aircraft industry, or others. In other cases, companies in those fields have their own machine shops. Grant Masaru Imahara is an American electrical engineer, roboticist, and television host. He is best known for his work on the television series MythBusters, in which he designed and built numerous robots that were needed for the show, and specialized in operating the various computers and electronics that were utilized to test myths. Renáta Tomanová is a former professional tennis player from Czechoslovakia. Storm 2 is a robot that competed in the British television game show Robot Wars. It was a small invertible box-shaped robot with a wedge on the front. The robot was originally built with no weapons but the team was asked to add an active weapon in order to take part in the seventh series, so the team came up with a built-in lifting arm, very similar to the American robot BioHazard. However, it was not the weapon but the immense speed and power of the robot that did the most damage to its opponents, managing to throw The Steel Avenger out of the Arena in its Series 7 heat final. The robot competed in the seventh series of Robot Wars, winning The Third World Championship at the end of the series, having won the 16th seed into the competition by being victorious in the New Blood Championship of Extreme 2. Skylanders: Giants is a 2012 video game in the Skylanders series, a direct sequel to the 2011 game Skylanders: Spyro's Adventure and features the voices of Kevin Michael Richardson, Greg Ellis, Peter Lurie, Steve Blum, Dave Wittenberg, Carlos Alazraqui, Kevin Sorbo, Bobcat Goldthwait, Patrick Seitz and Julie Nathanson. It is the game before Skylanders: Swap Force. As the title suggests, it features larger Skylanders known as "Giants", along with other new gameplay mechanics. It was released for Nintendo 3DS, PlayStation 3, Wii, and Xbox 360 on 17 October 2012 in Australia, on 19 October 2012 in Europe, on 21 October 2012 in North America, and on 22 November 2012 in Brazil by Neoplay. It has also been released on the Wii U as a launch title in North America, Europe and Australia. This is the final Skylanders game to be owned by Vivendi before Activision became an independent company on 25 July 2013. ↑ "Sun shines brightly for Mendlesham Street Fayre". Diss Express . England, UK. May 6, 2008. ISSN 1462-4273. OCLC 500147833 . Retrieved March 4, 2012. ↑ "Inventive youngsters find winning formula". WalesOnline . Cardiff. January 8, 2009. Retrieved March 4, 2012. ↑ Fowler, P. J. (1992). The past in contemporary society: then, now. Psychology Press. p. 56. ISBN 978-0-415-07130-7. OCLC 27681858. ↑ Brad, Stone (2003). Gearheads: the turbulent rise of robotic sports. Simon and Schuster. p. 169. ISBN 978-0-7432-2951-7. OCLC 51009163.